Raven Career Development Advisor Allen Palant’s fascination for airlines and aviation first took flight near his hometown of Los Angeles, CA. He learned to fly at the iconic Van Nuys Airport, in the heart of the San Fernando Valley and pursued professional flight training at Flight Safety Academy in Vero Beach, FL while he earned his Bachelor of Science in Professional Aeronautics from Embry-Riddle Aeronautical University. Additionally, Allen served in the United States Marine Corps where he held various ground and aviation assignments during his 8 years of service. Following graduation from Embry-Riddle, Allen gained valuable experience as a flight instructor before diving into the world of Part 91 business aviation and Part 135 charter aviation. After utilizing his years of corporate flying experience and sharp networking skills, Allen began flying large transport category aircraft in Russia and Hong Kong. During his tenure as a corporate pilot, he advanced into supervisory roles including Training Captain, Check Airman, Instructor Pilot, and Chief Pilot. Upon returning back to the United States, Allen supervised the operation of a Gulfstream G550 Corporate Flight Department in Southern California, where he conducted long-range worldwide operations under FAR Parts 91 and 135. Allen recently transitioned to a Major US Airline where he currently serves as a Pilot on the Boeing 737 fleet. He holds an Airline Transport Pilot Certificate from both the FAA and Hong Kong CAD as well as numerous certificate validations from Bermuda, Aruba, and the Cayman Islands. He is type rated in the Boeing 737, 757, and 767, Airbus A320, Gulfstream G-V/G550, Challenger 300, Lear 60, and Hawker 125 series aircraft. In addition to his cockpit experience and Raven Career Development services, Allen also earned his Master of Business Administration in Finance and Accounting from Keller Graduate School of Management, and he speaks a number of foreign languages and is fluent in both English and Russian. Allen’s extensive flying and aviation management experience makes him qualified to work with clients seeking advancement opportunities in both corporate/business aviation, as well as at Part 121 Airlines. At Raven Career Development, he specializes in providing personalized interview preparation, developing customized career strategies, and guiding clients through unique background concerns as they prepare for future career opportunities. Raven Career Development Advisor Brian Falcon was bitten by the flying bug during frequent transcontinental travels between Los Angeles and Atlanta. He learned to fly at the age of 14, at Cobb County/McCollum Field (RYY), and accomplished his first solo flight at the age of 16 before earning his private pilot certificate and instrument airplane rating one year later. Following his primary and instrument flight training, Brian attended Embry-Riddle Aeronautical University in Daytona Beach, Florida and received a Bachelor of Science Degree in Aeronautical Science. While at Embry-Riddle, Brian earned his Commercial Pilot Certificate, Multiengine Land Rating, and Flight Instructor Certificate (and associated Ratings) and began instructing for a local flight school nearby. Additionally, he was selected by Continental Airlines for a semester-long internship with their Flight Operations department in Houston, Texas. Upon graduation, he relocated back to Atlanta where he continued to build valuable instructional experience at the same flight school where he completed initial flight training. Brian progressed into a First Officer position for Atlantic Southeast Airlines (ASA, later ExpressJet) where he upgraded to Captain on the CRJ-200/700/900 series regional jet fleet. Brian’s professionalism, combined with his exemplary performance and mentorship as a Captain for one of the nation’s busiest regional airlines, led flight operations management to select him to become an FAA Designated Check Airman. He served as a Line Check Airman for two years where he trained/certified hundreds of new-hire First Officers and Captain upgrade candidates, performed FAA required line checks, and mentored pilots who were experiencing challenges during their initial operating experience. With years of Captain and Check Airman experience at a fast-paced regional airline, Brian then accepted a position with a legacy US airline, where he currently serves as a Pilot on the Boeing 737 fleet. He holds an Airline Transport Pilot Certificate with Airplane Single & Multiengine Land and Airplane Single Engine Sea ratings, and is type rated in the Boeing 737 and CRJ series aircraft. Brian’s professional aviation experience, along with his genuine personality, allows him to provide expert and personalized guidance to Raven Career Development clients who are looking to advance their career in the scheduled Part 121 airline environment. 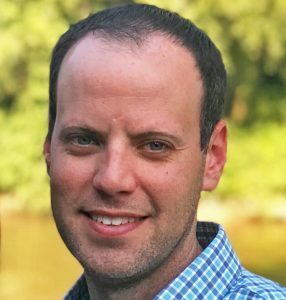 He specializes in the development of technical media, review and optimization of airline applications, as well as coaching clients through various personal and professional background concerns. 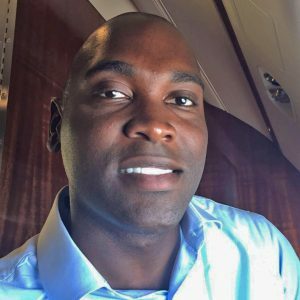 Raven Career Development Advisor Yeol Grant is a G-550 Captain for a large corporate flight department of a Fortune 100 company, supporting worldwide executive travel. There he serves as a Training Compliance Officer, schedules flight training, assists in negotiating training contracts and manages training records. Yeol has flown as a Captain on the Embraer Phenom 300 and Check Airman in a Beechjet 400XP for a large Part 135 fractional operator. He has been an Instructor Pilot for a Part 142 simulator training facility on the Falcon 900EX. Early in his career Yeol served as a Lead Captain for a regional airline on the SAAB 340. Yeol enjoys the individual interface, exploring mutual experiences and crafting the clients’ resumes to best feature their strengths. He uses his communication skills to help the client showcase their experience in a concise and effective manner. In his spare time, he is a kayaker, snow boarder, rock climber and explorer of renewable energy. Yeol feels being a part of the talented team of advisors at Raven, makes a difference in bringing your application and resume to the top of the applicant list. Raven Career Development Advisor Kevin Larson entered the United States Air Force as a “zero time” pilot in 1977. Over his career, Kevin amassed a wealth of aviation experience including flights to military bases and civil airports around the world. These include remote island bases/airports, special use airports, polar operations and operating at the world’s busiest airports. A former USAF pilot, commuter pilot, and retired major airline pilot, he is currently flying Gulfstream aircraft for a United States-based aviation management company under FAR Part 91 and Part 135. Kevin’s career began in the years following The Airline Deregulation Act of 1978. He has first-hand experience of an aviation career after deregulation, understands the landscape of major international and US carriers. This gives him valuable insight to share with pilots seeking aviation as a career. Kevin has an in-depth knowledge of collective bargaining agents, the unions who represent airline pilots over the course of their careers. Having made the transition from major airline Captain to 91/135 pilot Kevin can help retiring airline pilots consider a career in aviation after 121 retirement. George Rayl is a 1970 graduate of the United States Air Force Academy where he played starting center for 3 years on the Falcons football team. George flew his entire airline career as an EWR based pilot, was Director of Pilot Personnel for 3 years, hired over 1500 Major Airline pilots and became a General Manager. George was a check airman throughout his career. During the years George worked at Continental Airlines he served 6 years as the elected CALALPA National Grievance Chairman. After his 121 airline retirement George was employed by United Airlines as an individual aviation consultant on a team of 5 active and retired pilots. He is currently flying the Beechcraft 1900D for a large United States energy company, serving as the PIC under FAR Part 91. This team worked on Continental/United Airlines flight operations integration issues that included merging of the two airlines training scheduling systems, implementation of FAR 117 and full audit of the United Airlines AQP manual to ensure FAA regulatory and compliance requirements. George resides in Western Colorado where he is active in his church, is an aspiring single digit handicap golfer and summits 14,000 foot peaks when time permits. George brings to Raven Career Development a wealth of experience and knowledge to help the aspiring airline pilot or a retiring 121 pilot looking to begin or continue their aviation career. Raven Career Development Advisor Graham Wood has worked in aviation as a pilot for 17 years. He began his aviation career as a primary flight instructor under Part 61/141. He flew Part 135 cargo in the USA, flying the Falcon 20 and Lear 24/25. Ultimately, he gained enough experience for a move to corporate aviation flying fractional Part 91K. Graham then moved up through the corporate ranks working as a contract pilot flying throughout the Americas, Asia and Europe. Life after being a contract pilot led him to the ExPat world where he lived in Dubai, AE, flying the CL-605 and the BBD-700. 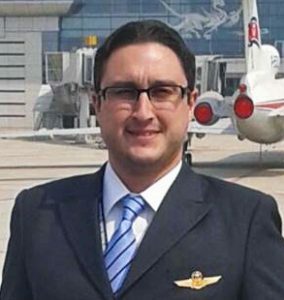 While working in Dubai he held positions as a Training Manager, Instructor and Technical Pilot in addition to line flying. After 8 years as an ExPat, Graham returned to the United States where today he is a Boeing 737 First Officer at a Major Airline. Graham takes pride in providing a client the necessary tools to find the job they seek. He wants a client to find their career, not just a job. He is tenacious in helping a client complete the application process to best serve the clients’ interest. Graham produces a first-class resume that brings the client to the attention of his prospective employer. He then completes the detailed the application process which is so critical to a successful job placement. Colleagues regard Graham’s expert analytical approach to resumes and apps as the industry leading standard for a successful job application. His personal experience of climbing the aviation “ladder” makes him an ideal advisor given his own personal success.